My idea behind this photo was to portrait the difference between the different stages in life – the two girls eating, and the woman and the man sitting on the bench – are in. I tried to use a different composition where I kept the pole as a separator between the two couples. 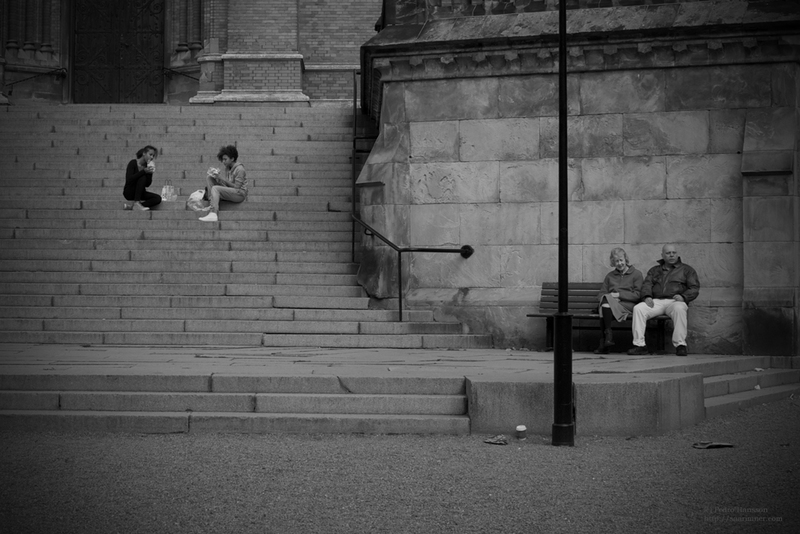 (c) Pedro Hansson - Picture taken in Stockholm on 17:th of September 2011. Works better in full screen mode. You are right , we have a saying here ” they are poles apart ” it suits the photo.